To ensure the ongoing sustainability of schools restored with the help of the HSRP and others, and the availability of the quality education they will offer to all children, no matter how economically disadvantaged, it was decided that a fund for educational bursaries and subsidies an awards for study be created to benefit any historically disadvantaged school which played a noteworthy role in South African history. With the blessing of the Matthews family, the fund was named the ZK Matthews Educational Trust and was formally registered in 2009. Zachariah Keodirelegang Matthews was born in Kimberley in 1901. Educated at the historic Lovedale College, he went on to Fort Hare University and in 1923 became the first African to obtain a BA at a South African institution. Though known as a distinguished intellectual who exercised a guiding and moderating influence on African political history during a critical period, he devoted the first part of his career to education. In 1925 he was appointed the first African head of Adams College in Natal, where Albert Luthuli was his colleague. He eventually became president of the Natal Teacher’s Association. In 1928 he married Frieda Bokwe, daughter of composer and dramatist John Knox Bokwe. In 1930 he became the first African to earn an LLB degree in South Africa and was admitted as an attorney to the Johannesburg Bar and the Transvaal division of the Supreme Court. He declined to join the bar and instead left to continue his studies at Yale where he completed an MA in 1934. He then went on to study anthropology at the London School of Economics, returning to South Africa in 1935 to lecture at Fort Hare. He joined DDT Jabavu in launching the All Africa Convention in 1935 but found his true political home in the ANC. He became increasingly involved in political activities and was an influential spokesperson for the African cause. In 1944 Matthews became head of Fort Hare’s Department of African Studies and was made a professor. 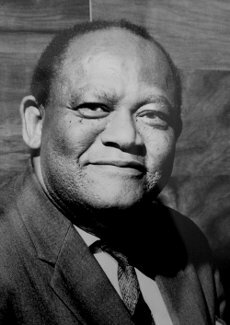 During his long career in public life, he served on many bodies, among others the Union Advisory Board on Native Education and the executive committee of the South African Institute of Race Relations. He was a research fellow of the International Institute of African Languages and Cultures and served from 1942 to 1950 on the Natives’ Representative Council. He was also instrumental in convening a ‘Congress of the People’, a nationwide series of campaigns and rallies, from which emerged the landmark Freedom Charter, officially endorsed and adopted as a general policy document in June 1955. Because of his position and international reputation, he escaped the bans and restrictions that hindered many of his political colleagues, including his own son, Joe Matthews. But he was arrested in December 1956 as an accused in the Treason Trial. On his aquittal in late 1958, he resigned as acting principal of Fort Hare in protest against the government takeover of the college, thereby losing his hard-earned pension. He was detained for six months during the 1960 emergency, and in 1961 he moved to Geneva and became secretary of the Africa division of the World Council of Churches. 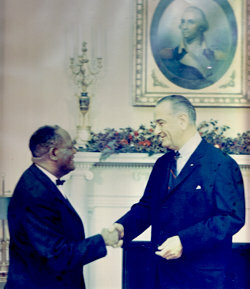 In 1965 he retired to Botswana and, following its independence in 1966, was appointed Botswana’s ambassador to the United States. He died in 1968 in Washington DC. The naming of the HSRP’s educational trust fund after ZK Matthews is fitting on every level. Not only was he a product of one of the historic schools which produced so many future leaders in their time, but he in turn became an educator in one of these schools and a tireless advocate for quality education for Africans. To nurture future African leaders of calibre and integrity, who are able to meet the critical needs of community and country, in a values-based, transformational environment. "Education is the great engine to personal development. It is through education that the daughter of a peasant can become a doctor, that the son of a mine worker can become the head of the mine, that the child of a farm worker can become the president of a great nation."